Anguilla is quite the A-list celebrity/VIP destination these days. However, the small island has managed to retain it’s relaxed, quiet charm. My most recent piece for FATHOM Magazine went live today. 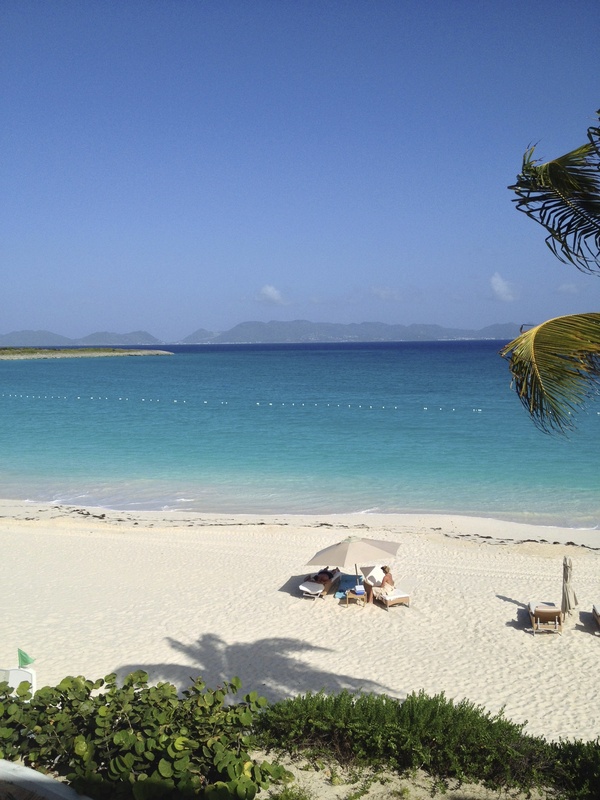 ANGUILLA – I wish I could say I have always appreciated this beautiful island. That would be untrue. When my family moved from New York City to the leafy suburbs of Verona, New Jersey, I knew I had to become a true American teenager. I was hampered by my parents’ insistence on raising their children as if we were a family living in the Caribbean. My parents are from St. Martin (totally different from the Dutch side, St. Maarten) and both my grandmothers were Anguillian. Whenever we went to St. Martin to stay with my paternal grandparents, we ferried over to Anguilla to visit family and friends. When I was a child it, was fun to hang out with my cousins, go the beaches, and stuff ourselves on Johnnycakes, rice and peas, and salt fish cakes. But as for the stunning white beaches of the island, they were lost on me when I was older. I mean, I was a teenager. Visiting relative after relative while sitting on their verandas for hours drinking Ting was boring. It wasn’t until my parents moved to back to St. Martin after retirement and I moved to Rome that I began to understand why those trips back home were so important. To read the rest and see more pictures, click HERE. The beach at Cap Juluca with the island of St. Martin/St. Maarten in the background.